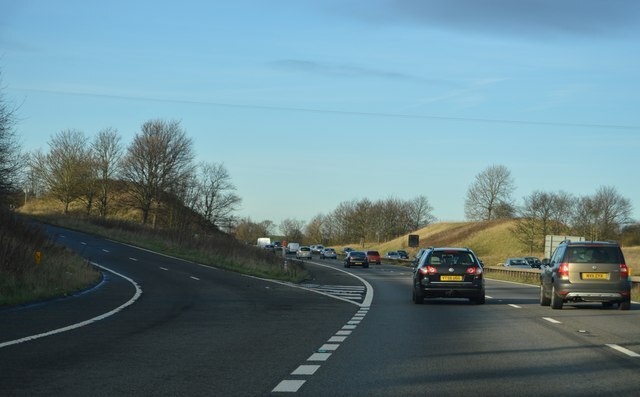 The A1 is the longest numbered road in the UK at 410 miles long. It connects London with Edinburgh, via the east of England. For much of its path it follows the Great North Road the old coaching route between London and Edinburgh. Several sections of the route are classified as motorway A1(M). The modern A1 bypasses the towns the Great North Road passed through and is dual carriageway for most of its route through England.